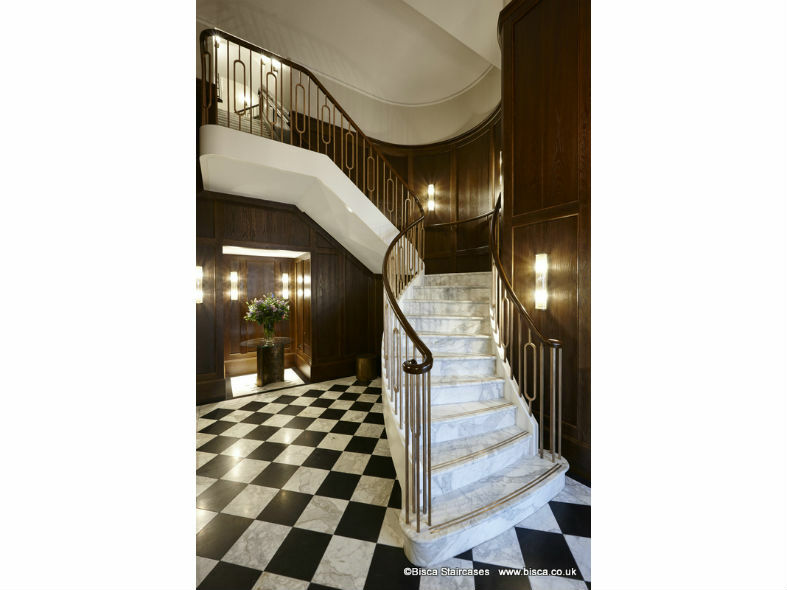 A classic staircase sweeping majestically up from the entrance lobby of a central London apartment complex, through a half moon landing, to mezzanine level and beyond. Clean lines of a steel structure were clad in cool marbled stone. 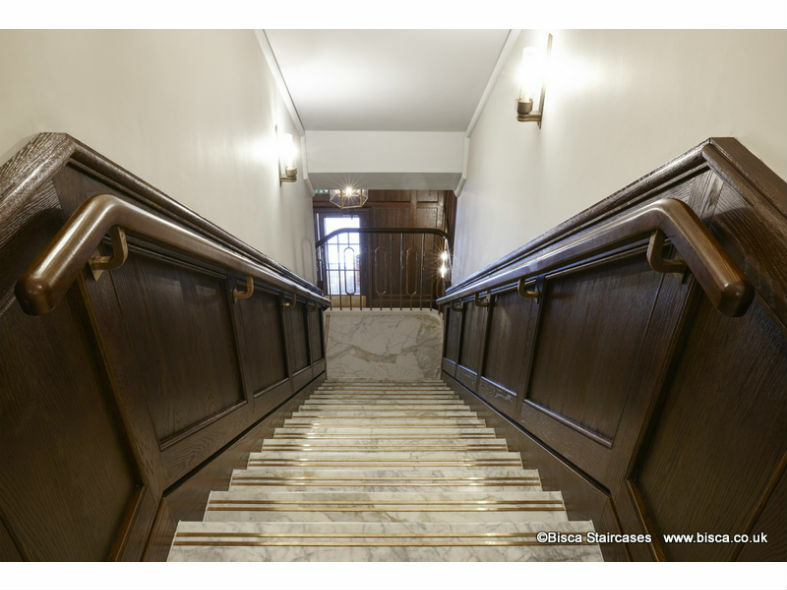 Treads were then inlaid with bronze tread infill to give them non-slip properties and link them aesthetically to the balustrade. 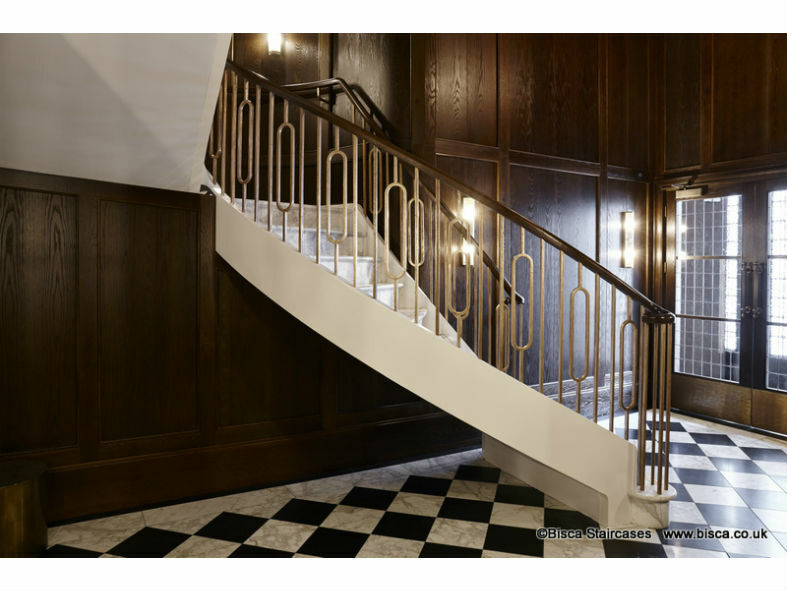 The beautiful balustrade is hand cast in bronze, giving a tactile and timeless finish, and capped with a rich gleaming timber handrail perfectly matching the cladding of the walls in the lobby and common areas of this apartment complex in a London restoration project. 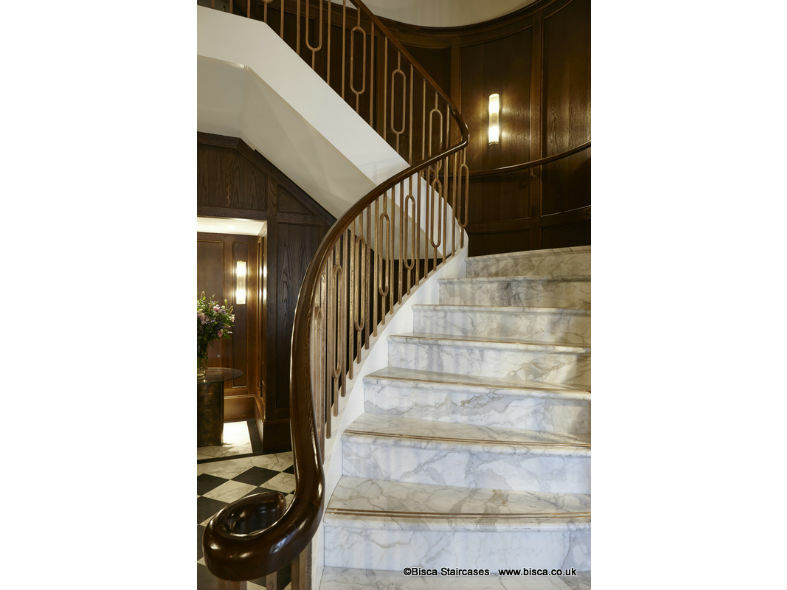 To obtain a guide price for your own bespoke staircase or balustrade based around this design, or using similar materials, please quote ref 3764. 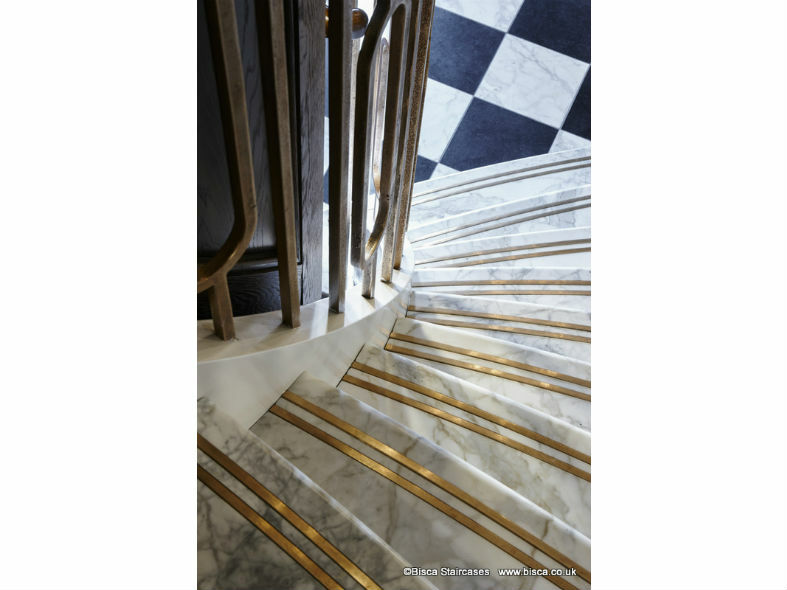 This staircase has inspired many of our clients to enquire about bronze for their own projects and has been featured in many magazines and on a calendar.